We're starting out 2015 with a bang. The time for deliberation is over, and both Samsung and HTC are about to pounce on the market, hoping to slash as big a share as possible. But if your current daily driver is starting to feel a bit dated, and ready for an upgrade, it'll be up to you to pick between the two teams, and that's hardly ever a trivial task with high-end devices. 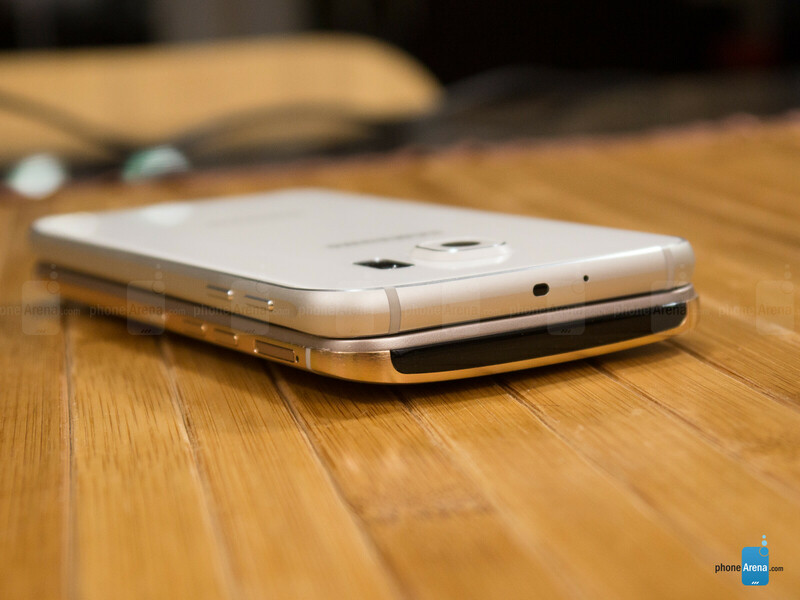 With the Galaxy S6, Samsung is impressing upon the public that it is both capable and willing to change if its fan base (and stock holders) requires it to. 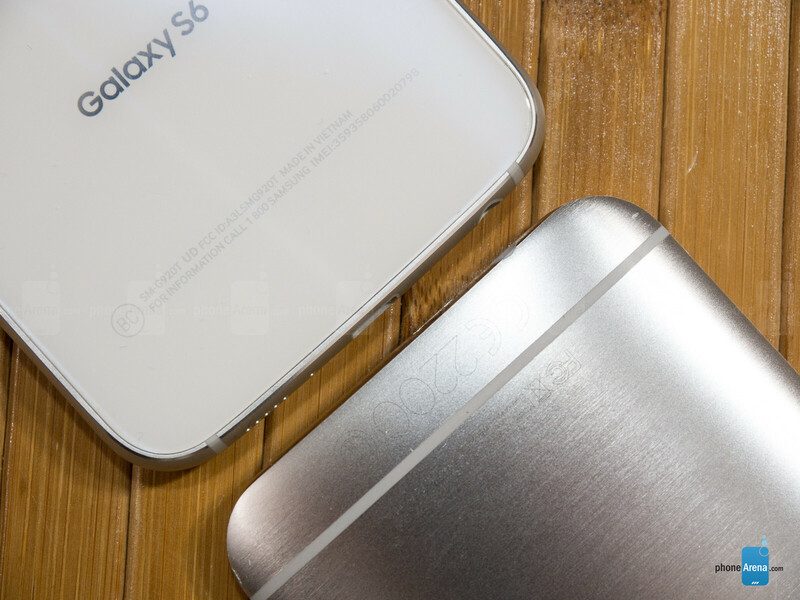 To that end, the Galaxy S6 comes in an unmistakably premium unibody that fuses glass and metal together. Better yet, Samsung has finally addressed complaints relating to its heavy TouchWiz overlay, with a number of optimizations having been carried out. All of this is rounded off with some truly bleeding edge hardware having found its way under the screen. On the face of it, HTC's efforts fade in comparison, as despite its One M9 still commanding a respectable lead in terms of craftsmanship and overall design, the company has focused most of its attention on one single area: the rear camera. Indeed, gone is the under-performing UltraPixel camera, and we're now looking at a more impressive, 20-megapixel unit that the company hopes will position its flagship better than ever before. So which one is the better buy? Let's dig in and find out. 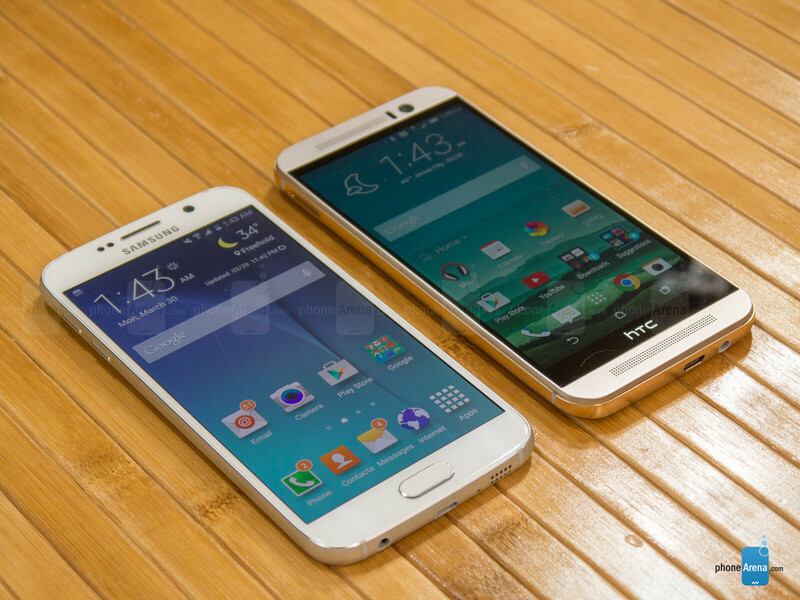 Sexier-than-ever-before the Galaxy S6 may be, but the One M9 remains the more stylish pick of the two. With every new Galaxy S release, Samsung has historically built upon the base by refining what's already there and adding some extra on top. 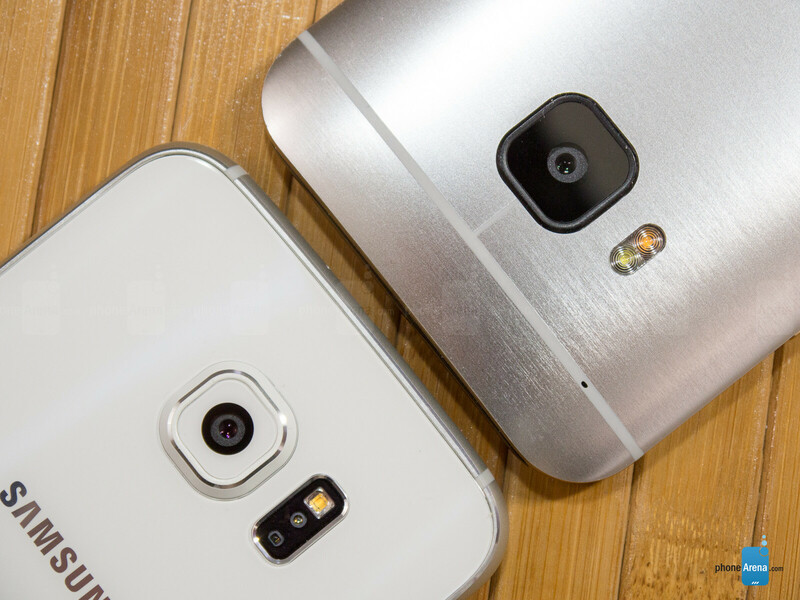 With the Galaxy S6, however, the electronics giant has focused far more on the latter than on the former. To that end, instead of the plasticky shell of the Galaxy S5, Samsung has adopted a metal frame that hugs the device all over and nestles within two sheets of Corning Gorilla Glass 4 – one placed in front of the display, and the other to protect the rear. Samsung didn't stop there, instead opting to carve several 'nano layers' into the shell. The result is a front and back that reflect light in different hues depending on your viewing angle. As it comes down to taste, this can be viewed as either ostentatious and tacky or unique and attractive. Regardless of which group you fall in, it's quite likely that you will not appreciate the ease with which the rear smudges – just a few minutes with the phone leaves the back a complete mess. However, for all of Samsung's admirable efforts, and despite the undeniably sexier-than-ever-before appearances of the Galaxy S6, the One M9 still remains the more stylish pick of the two in our eyes. What could spell trouble for HTC's new flagship in the eyes of others, however, is the lack of visible changes. Indeed, despite its enjoyable looks, the One M9 remains a very similar device to its predecessor, the One M8, which, in turn, felt a lot like the One M7 before it. We certainly understand that the One line's design can be seen as timeless, but we nevertheless can't shake the feeling that we're looking at only a slightly redesigned device compared to last year's offering. In terms of physical footprint and ergonomics, we've got a slight advantage for the Galaxy S6 on the first count, and a lead for the One M9 on the second. That is, while the S6 touts a slightly larger display, its dimensions of 5.65 x 2.78 x 0.27 inches still read a tad better than the M9's 5.69 x 2.74 x 0.38 inches, and specifically in terms of thinness. But a slim profile doesn't equal better handling, and that remains strictly an HTC domain. Indeed, the heftier depth to the M9 and the rounded rear shell make for a more ergonomic grip. In 'Basic' screen mode, the Galaxy S6's panel proves far superior to the one of the One M9. 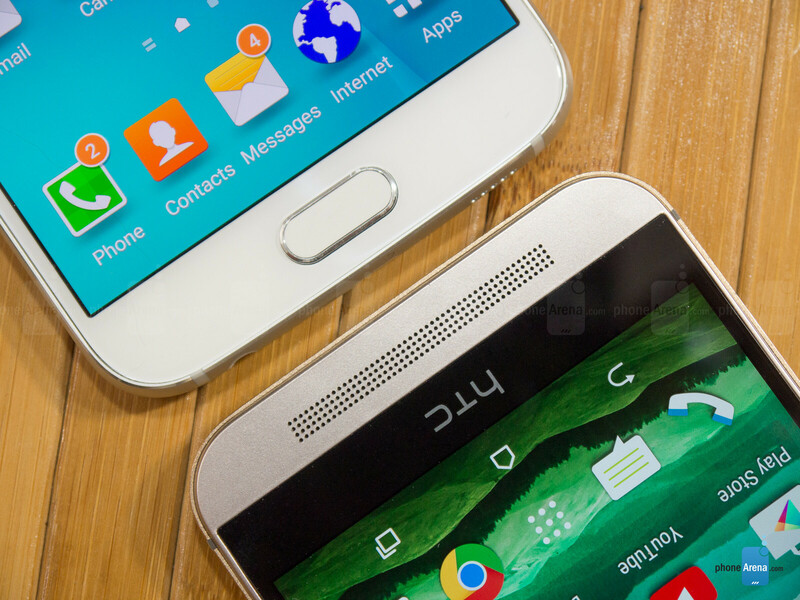 The Galaxy S6 and One M9 both stick to the same display sizes introduced by their predecessors, but the two still differ vastly. With its new flagship, HTC is again making use of an S-LCD3 panel with a 5-inch diagonal and 1080 x 1920 resolution – good for 441 pixels per inch. In Samsung's camp, we're looking at a 5.1-inch Super AMOLED display, but unlike the one embedded within the S6's predecessor, we now have the whopping 1440 x 2560 pixels, or an even greater pitch of 577 ppi. Regardless, do keep in mind that due to the small physical size of these screens, that supposed advantage in pixel density is almost entirely limited to bragging rights on paper. Speaking of what's on paper and what's going on in reality, let's talk about color calibration. With the Samsung Galaxy S6 set in the non-default Basic display mode, we're looking at a spot-on color temperature of 6550K (6500K being the desired optimal value), while the One M9 offers the unsatisfactory 8100K. In real terms, this means that the One M9's display is cold (or bluish) and that's especially visible with whites and various shades of gray. In comparison, Samsung's device offers realistic whites that are... well, white! Were we to draw the line right here, the One M9 would only suffer a small defeat, instead of being steamrolled as it is in reality. Indeed, the Galaxy S6's display also proves far better in terms of color accuracy, with essentially every shade hitting its desired target at every intensity level, while the M9 falters significantly in comparison – reds are not quite red enough, yellows exhibit a greenish hue, and magenta leans heavily on blue. Further still, the S6 has an advantage in terms of maximum brightness – 563 nits vs the still excellent 508 nits for the One M9. It's only when talking gamma that the One M9 gets some relief – we measured 2.21, which is spot-on, while the S6 returned a slightly worse 2.11. 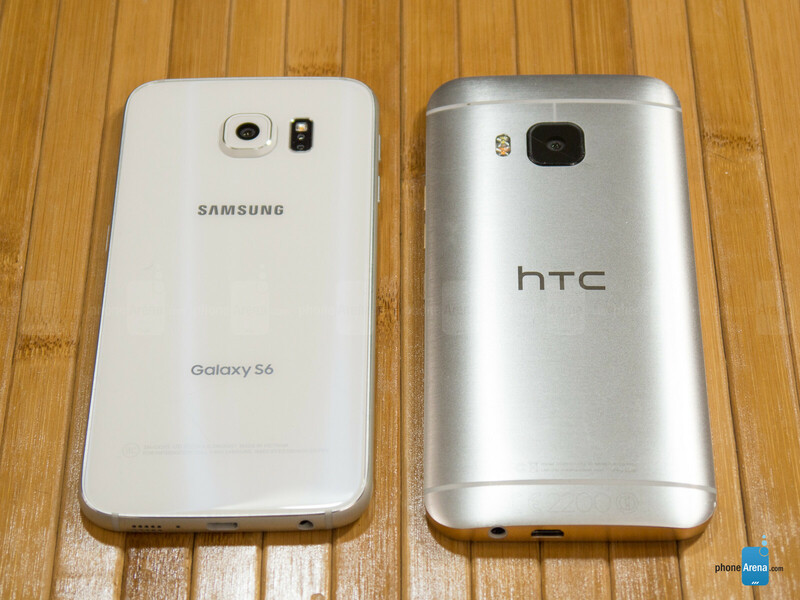 No, samsung did a better job with the s6 edge. That lump on the back. 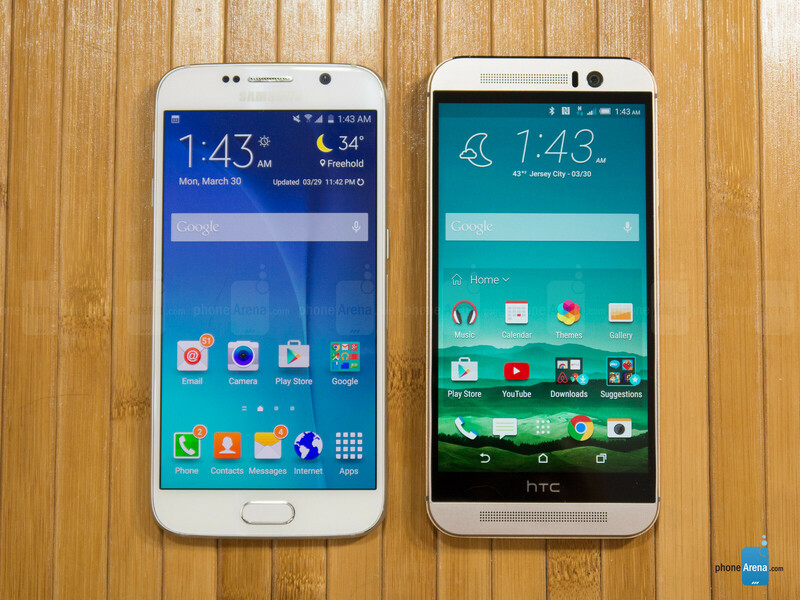 HTC M9 is unappealing to me. I don't know why but TouchWiz seems to be the most beautiful looking interface compared to all other manufacturers. LGs UI is way too cartoony, HTC is old school and has a really boring interface, Sony looks nice and futuristic but cluttery. I tested out an s6 edge yesterday, it was very smooth and fast. It doesn't remind me of the sluggishness of touchwiz in previous versions. Touchwiz on the s6/s6 edge looks the best, I agree with you. +1 New touch wiz is a beauty to hold, and since it is heavily streamlined now, then it will be prime time to go back to touch wiz What I want to ask, is the power of 0.54 volts in the headphone good enough for loud bass, electro and trance stuff? It is similar to iPhone 5 I guess, so may be an iPhone-5 user can tell me ? I also plug in the phone to my subwoofer often, so it is better to be loud enough. And btw, as for audio quality,according to GSMA, S6 is on par with the M9, specially when headphones are plugged in. I hated Sammy once I got the S3 and once I used the S5, but now I am literally impressed with what Sammy has done this year!!! Maybe the biggest concern is the 'removable battery' feature, but not a big deal. I think the M9 shows 0 innovation. The design and screen are the same specs for 3 years, the M7 and M8's screens are even better looking. Instead of making a higher resolution(8-12MP) Ultrapixel camera they went with a cheap non-OIS 20.7Mp. And the SoC is just a cheap 'high end' option that can't even run at the speeds it's marketed with. I really don't see a reason for anyone to 'upgrade' from M7 or M8 to the M9. Try the Nova launcher. It is much faster and has more customization options than TouchWiz. Guys from PA are you blind the m9 is more stylish than the s6 ? It is more stylish. But who walks around without a case...It's the guts and performance that really matter. It's been a while that my 2 year old S4 has been upgraded to Lollipop. And it's running better than ever. The M9 is a joke. How can a successor of a flagship be worse at low light photography? Joke. M9 over the M8: 3 GB RAM Overkill camera Ultra pixel selfie M8 over the M9: Better SoC (at least it ain't throttle like crazy S810) Cooler smartphone and better thermal handling Boom sound are louder with much more punchy bass Excellent low light photography Battery life Screen Tie between M8 and M9: Design (somehow) Call quality That's it And yet HTC expect better sales Lol!!! The front panel hasn't changed much from the S3??? You should rethink that statement based on these points: - 720p (HD) resolution increased to 1440p (UHD) resolution - Screen size went from 4.8" to 5.1" - Pixel arrangement has changed from pentile to "diamond" pentile - Colors are a lot more accurate (almost a spot on accuracy in Basic mode) - Energy efficiency has increased - No fingerprint sensor to actually having one, then to having one that works well - Gorilla glass to Gorilla glass 4 - The button arrangement has changed (they got rid of the redundant menu button) - The color accents have changed (the panel on the S6 literally changes color from a dark blue to a black depending on how light hits it, where as the panel on the S3 was just a blue color) - Front facing camera resolution from 2 MP to 5 MP While on HTC's M9, here's what's changed on the front panel from the M7 (which came out a year after the S3): - Ultrapixel as the front facing camera from a regular 2 MP - The HTC logo is not a button (however its still on the panel, making the phone a lot larger than it should be) - Super LCD 2 to Super LCD 3 - 4.7 inch to 5 inch - THATS IT So, based on this evidence, the S6 is a HUMONGOUS improvement over the S3, S4, S5, HTC M7, M8, and M9 HTC lacks innovation, Samsung is at least trying to innovate with the S6 Edge Do you even know anything about smartphones at all? Well, I'm just a cell heavy user, and I received my new HTC M9 yesterday. I bought my first "bag phone" in 1988, back in the days when you could actually choose your own phone number... advancing through the brick, the "beam me up Scottie".....tethering for internet service before most knew we could, pretty much I've used all shapes and sizes. I listen to debate after debate over which phone is best...people arguing over minute details and miniscule differences that really hardly EVER affect the average user. After going through TWO Samsung cracked screens in a few weeks, I insisted my provider exchange the second one with an HTC. Three years later, after almost daily drops and at least two or three water dunks, it's still going strong. I can't TELL you how many times my HTC M7 has landed facedown on tile, concrete, etc. . . and every time I think, "oh gosh, it's cracked for sure"...and once again, no crack! I am a HEAVY user, and my battery is getting weak, so after three years, I'm due for a new phone. I can buy any phone I want, my husband even suggested I buy an Iphone and smartwatch....but in the end, I ordered a new M9. I've watched my sons, also heavy users, use Samsung after Samsung with cracked screens, misc hardware issues and I wonder just how great those "better specs" really are when your screen, speaker, camera, etc are not working! I need a phone I can use all day, every day! A great point about durability, PLUS the HTC Uh oh protection!!! I have an M9 and had to use the uh oh protection.... Easy as can be, no questions or hurdles, just replaced with a NEW(not refurbished) phone with NO deductible!! That being said, I'm debating on the second device (work) of what to do. It is the whale known as the Nexus 6, and it I am tempted to venture to Sammy, but am she'll shocked from previous nightmares of touch wiz lag and cheap components. Also, do I want better sound or occasional pic? ?